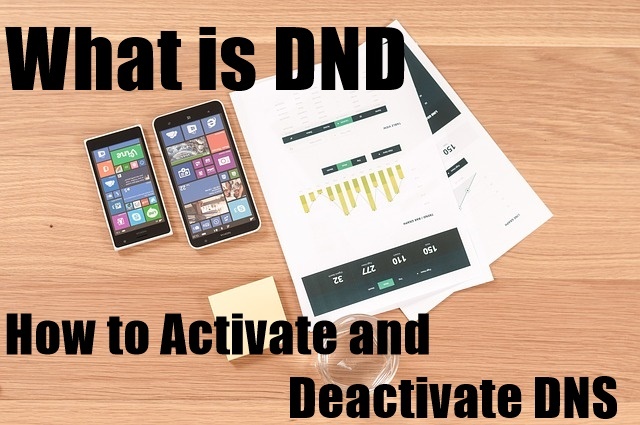 What is DND and How to Activate and Deactivate DNS: If you are troubled by unnecessary messages and calls coming to your mobile and you want to turn them off, then this post is for you. In this, we will know What is DND and How to Activate and Deactivate DNS. Every mobile consumer is a smartphone user or a feature phone user, it has to be marketing and a lot of other types of messages and phone calls that come in the phone unnecessarily and bothered. DND was brought to the rescue of all these. This service was brought by the Telecom Regulatory Authority of India (TRAI), which all telecom companies believe and provide this service to its customers. DND prevents unnecessary messaging and phone calls coming on mobile phones i.e. activating DND on the mobile number will stop sending spam messages and calls coming to the number. Activating DND is absolutely free and when it is activated, you will not be able to get any messages and phone calls from the SIM company which are unnecessary. DND can be used by both prepaid and postpaid customers. When we activate DND for mobile number, we get two options. In partial DND, you have to select the category of which category you do not want messages and phone calls related to. Such as banking, marketing, financial, educational, entertainment etc. If you select, no phone call or message related to it will not come to your mobile number, but activating the full DND will not bring any kind of any unnecessary message and promotional call to the mobile number. How To Turn DND On Mobile Number? There are several options for activating DND for any mobile number, with the help of which you can turn on the Do Not Disturb Service at that number. I will just tell the same methods here which is very simple and any common user can do it easily. The two methods mentioned below DND activate are applicable to all telecom operators that means you can start DND on any SIM. Go to Message or Message and click on the new message. In the message box, type 'STOP 0' and send it to 1909. Now DND will activate the mobile number within seven days. On sending this message, full DND will be operational that means no unnecessary alerts/messages/ calls of any kind will come up. Banking, Insurance and Financially related calls and SMS will be discontinued START 1. Travel related messages and calls will be off from START 7. If you do not want to activate DND from the message on the mobile number, then you can also do this work by calling. For this, call 1909 with the mobile number on which you want to deactivate DND and start the Do Not Disturb service. The number 1909 has been issued by TRAI for the same service on or off and it is applicable to all mobile operators. Just as DND is easy to turn on, it is also easy to deactivate DND, ie deactivate it. To stop DND by SMS, send STOP on 1909 and this service will be deactivated on your number. To stop this by calling, call this number i.e. 1909 and close it. Confirmation of the closure of this service on the mobile number by the company will be sent to you by SMS. Hope you liked this article in which we have What is DND and How to Activate and Deactivate DNS go about. If you have any questions related to it then ask in the comment box.